If you work in PR or any kind of social media marketing, you probably need to write a lot of blog posts and I’ll bet that most of them are no longer than about 400-500 words. Conventional wisdom is that people don’t read long articles online and this kind of length is ideal for SEO purposes. That’s not really true anymore. SEO experts largely agree that long-form articles perform better in search engines and, while there are no hard and fast rules, broadly speaking you should be writing at least 1,000 words per blog post to get better results. For more serious, in depth reports, you should be thinking about word counts closer to the order of 3,000. The idea that people don’t read long-form articles online is also outdated. This thinking harks back to a time long before smartphones and tablets, when people only accessed the web on their PCs. It made sense that nobody wanted to read long articles on their PC screen, but these days people are much more likely to read a long article on a tablet or phone, away from their desk. The truth is that any idiot can churn out 400 words on almost any topic (although plenty of people still do a terrible job of it). That’s why the internet is full of low-value, spammy content, and the public relations industry is especially guilty of this. We charge by the hour, and good quality content takes time. We give junior execs tight deadlines to write about complex topics which they don’t understand in order to meet targets, and the end results are flimsy blog posts that nobody wants to read. Writing good quality articles of any reasonable length is a lot harder, you’ll need to go into a lot more detail about the topic and any gaps in your knowledge will become painfully obvious. And that’s really the point here; long form articles tend to be higher quality, not just because they have more words, but by virtue of the fact that in order to write those extra words the author has probably had to do a lot more research, has a better knowledge of the topic, and is most likely simply a better writer. Most public relations people approach blog posts in the same way as press releases, which follow the time honoured ‘news pyramid’ format. This starts with a concise, pithy headline, then all of the most important facts about the story in the first paragraph or two, followed by an increasing amount of supporting information, quotes and extra context as we get further into the article. The problem with this style of writing is that while it works well for news stories, it’s not so good for long form articles. When you get most of the ‘story’ across in the first few lines, it’s easy to run out of things to say and you’ll find yourself padding out the article with pointless filler, desperately trying to hit the wordcount. A good way to approach long form articles is to turn the news pyramid on its head. Start by outlining the topic, what are the major issues, what’s the background, who does it impact, how is it likely to be relevant to the reader? Flesh out your main points with plenty of context – is there any independent research with statistics and facts you can cite to support your arguments? What have other people said about the same issue? Add in relevant quotes from prominent commentators, experts, and journalists, and consider how their viewpoints could be used to add additional detail to your article. Alternative, conflicting opinions are great sources of additional material and will add balance to your article. The important point about all of this is that nothing you add to your article needs to be padding – you can always find something else to add value, a little extra information that helps paint a picture or make a point without resorting to unnecessary verbiage. But think again about that inverted news pyramid. As you construct your article you should be moving down from the broad scene-setting and context-adding towards the fundamental point that you want to make. When you’re writing longer articles it’s not enough to simply brain dump your thoughts onto the page and then tidy the copy up afterwards, you need to plan the piece out. People in the PR industry talk a lot about ‘storytelling’ and this is where you really need to put that skill into practice. To start with write down bullet point versions of all the areas you want to cover, then try to arrange them into a logical structure. Does each point flow naturally onto the next, towards the articles ultimate conclusion? Are there any glaring gaps in the flow? If there are any areas where one part of the discussion does not seem to move seamlessly from one point to the next, this is a good sign that there are some missing pieces in your story which need to be filled in, and this will help you add more to it. Next take a look at all those bullet points and flesh them out with supporting notes. Think about what you’ll need to cover in each of those sections to tell the full story and explain each point clearly. Again, during this process you’re likely to notice things that are missing or don’t entirely make sense, and this will help you to not only get your word count up, but also write a better blog post. Now that you’ve done the hard work of thinking out the structure and overall content of your post, actually writing the copy should be relatively straight forward. It’s always harder to start with a blank page, after all. Once the first draft is complete, hopefully you’ll find that you’ve got both a well written article that flows well, and also a high enough word count without the need for any pointless filler material. Read it through, check again if anything’s missing, fill in the gaps. 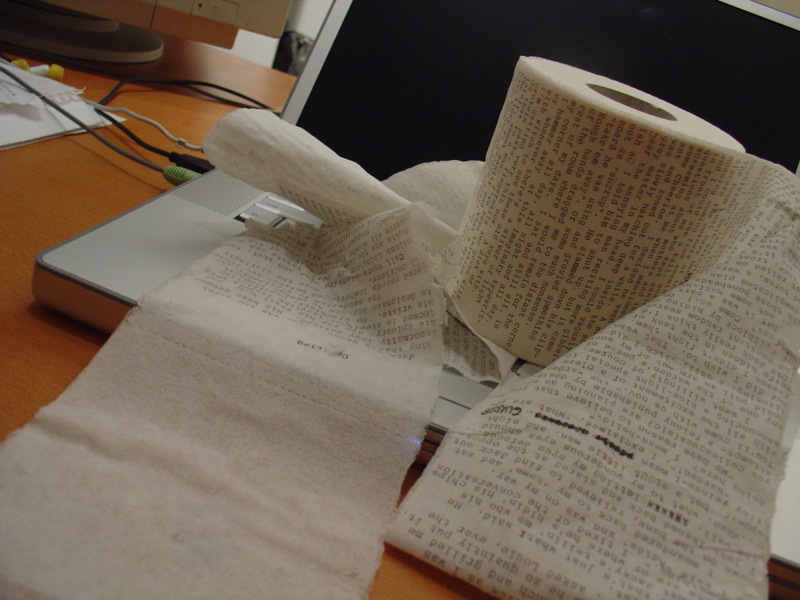 But it’s equally important to remove any fluff that doesn’t need to be there – you might not want to reduce the word count, but let’s not lose sight of the aim, to produce a great article. A higher word count might help with SEO, but consistent writing great articles that are a pleasure to read will help even more. If you have to choose between quality and quantity, the former should win every time. After three (mostly) happy years as the head of digital at Text 100 UK I was lured away to a competing agency to do a similar job, for similar clients, for a lot more money at the beginning of 2013. For one reason or another things didn’t really work out and after four months I was politely given the boot. They were decent enough about the situation, but it was hard not to be frustrated – I thought I was good at my job, things had gone pretty well at all the other agencies I’d worked for, but this time it just didn’t click. My plan was this: I’d charge low rates and deliver great results, rather than pouring a lot of resources into conventional media relations campaigns, I’d use social media and digital technologies to help my clients make a splash without relying on mainstream media. I’d do bold, edgy work that only required creativity and brave clients to succeed. So I did a bit of networking and landed a few clients, and that’s where it all started to go wrong. 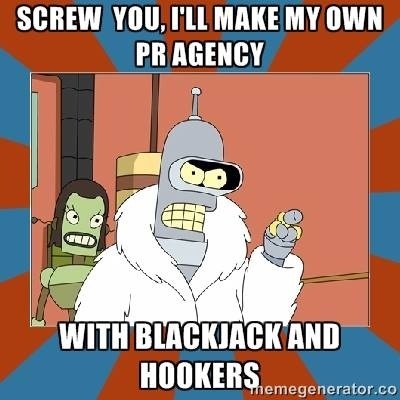 Typically clients would buy into my proposition, but once the work got started they would really just want me to deliver traditional PR activity – which wasn’t really what I wanted my business to be about. Although I will admit to a giddy rush of excitement when I landed one of my clients in the Telegraph. I felt confident that the IT press would lap this stuff up because it was different and it was funny, and the client told me that it was the first time she’d laughed while reading about enterprise backup – so clearly it was going to be a winner. Only, once the client took this stuff to her boss for approval, it immediately got shot down, because this isn’t the kind of tone that serious IT companies should use. So it wasn’t as easy to convince clients to take creative risks as I’d hoped. The other big problem was that my plan needed clients to understand that while they paid low rates, they would get a limited amount of my time. That would be fine if I was doing the kind of agile, guerrilla style work that I wanted to deliver – but since I was being forced into doing more conventional comms activity, it was taking up more time than it should. I was losing motivation, the clients I had were eating up all of my time but barely paying enough to keep the wolf from the door. I couldn’t find time to win any new business, and even if I did, I wouldn’t have the time to service any new clients. At the same time I got a little distracted by learning how to code so I could build apps myself – I found this much more interesting than my day job, so I’d make excuses to spend more time coding than working on my business. I started building [http://www.influential-blogs.co.uk](http://www.influential-blogs.co.uk/) and convinced myself I could turn it into a profitable service if I spent enough time developing it. By the end of 2013 I’d all but lost interest in running my own agency, and my bank balance started to look a bit grim, so I decided to throw in the towel and go back to full time employment. Fortunately for me, my old Text 100 colleague, Kirsty Leighton, invited me to join her at Hudson Sandler almost as soon as I put myself back on the market, and four months in that move looks to be working out beautifully, so everything’s turned out fairly well. I got to spend the best part of a year working at home and that meant I was able to see much more of my two young boys during the early part of their lives, which I wouldn’t otherwise have done. I pretty much broke even financially, so I didn’t lose anything. I learned to code, which I’ve wanted to do for years but never found the time. For the first time in my life I felt like a proper grown up every time I wrote an email to my accountant. I’m really enjoying Hudson Sandler, and I wouldn’t have ended up working there if none of this had happened. So I’m in the process of wrapping up Disruptive Communications, but I’ll keep it as a dormant company, just in case inspiration strikes in the future, and for now I’ll use this domain as my personal blog because I quite like the name. The reason I found it funny is that I remember journalists complaining about exactly the same thing when I was a hack as far back as the late nineties. It seems that fifteen years later, some PR people still haven’t learned that journalists hate it when you send your press release as a PDF or Word attachment. Try to understand things from the journalist’s perspective: every day you’re likely to receive dozens, maybe hundreds of emails begging for your attention. At best you can skim through them all, picking out the ones which might be interesting to you. But if the important detail is hidden in an attachment, you have to interrupt your flow and wait for the document to open, which could take anything from a few seconds to a couple of minutes. Doing this once or twice might seem like a minor inconvenience, but those minor inconveniences pile up pretty quickly when you’re dealing with dozens of them every day. And imagine if they’re reading emails on a mobile device, do you really think they’re going to open attachments then? Life is simply too short. When you email your press release to a journalist, you’re asking them to take time out from what they’re doing to pay attention to your pitch. That’s always going to be a hard sell so, if you want to improve your chances of getting through to them, the very least you can do is make life easier for the journalist by including the release as plain text within the email. Over recent years there’s been an increasing amount of friction between PR and SEO as the two disciplines are increasingly treading on each other’s toes. A lot of this comes out of both sides frequently misunderstanding how the other works – so we’ve put this infographic together to provide a simple comparison of SEO and PR.